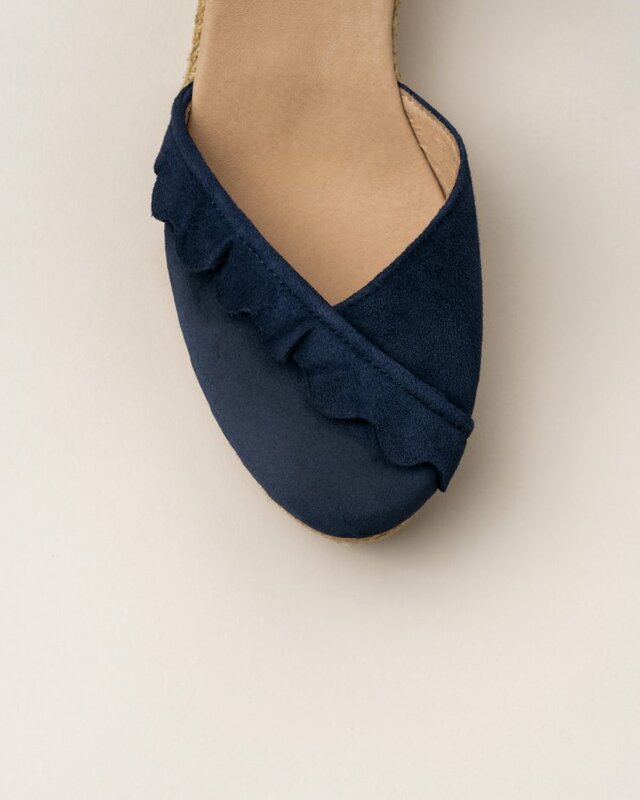 Navy woven satin espadrilles. Open sandals with two straps across the top. Medium jute wedge.